After all the hard work, sweat, discipline and commitment at the gym…Now it is time to really focus and take honest responsibility for what you put into your body. All you need is the right mindset, a strong will and solid nutritional guidance by Michelle to start eating on purpose. 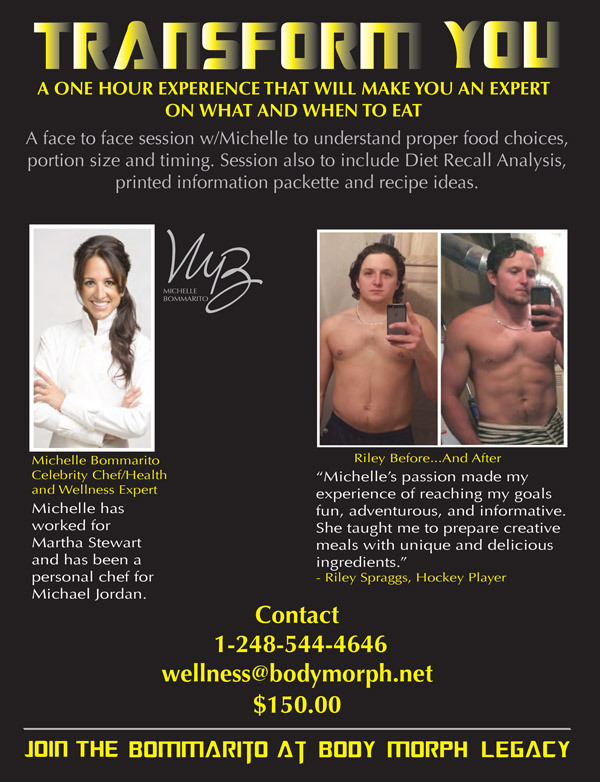 Michelle will request a week diet recall journal and then provide an one-on-one nutritional coaching session ranging from 1 -5 hours, depending if cooking classes are desired.